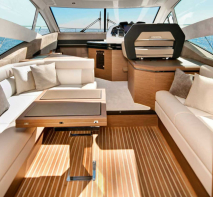 Advanced purification treatments for homes, vehicles, and boats. Now serving South Florida with America's top rated ozone generator machines. Hire the ozone expert, purchase an ozone generator, or rent an ozone generator in Fort Lauderdale today! Remove odors and stop mold in your home, vehicle, or boat. 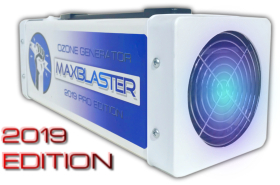 MaxBlaster ozone machines kill smoke odor, pet odor, musty odor, cooking odor, and mold toxins at their source. The treatments are fast, easy, safe, and green. Call Greg in South Florida today for friendly expert advice. USA's leading ozone company since 2008 now open in Fort Lauderdale. Now available for immediate pick-up. Located in The Exchange Lofts near downtown Fort Lauderdale. Call first to schedule pick-up time. Delivery options are available. Payments may be completed online or in person. Rentals require an additional security deposit that will be immediatly refunded upon return. See store policies for warranty and guarantee information. Volume discounts available for purchases and rentals. Call Greg for expert advice, recommendations, and instructions. Explore our website for more information. Specializing in large scale professional grade odor removal treatments that are too big or difficult to handle on your own. 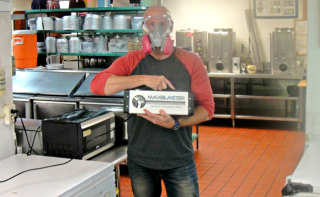 Ideal for large homes, properties, restaurants, commercial buildings, and disaster restoration. For average homes, vehicles, and boats I recommend our ozone machine purchase or rental options below. Call me today for fast, friendly, expert advice.